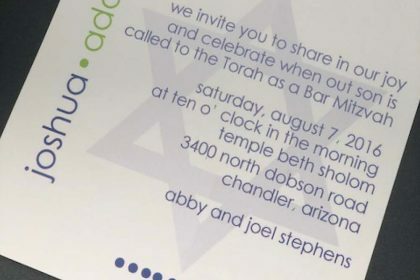 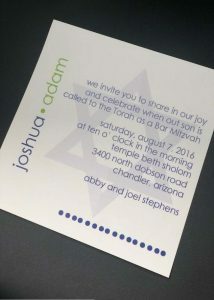 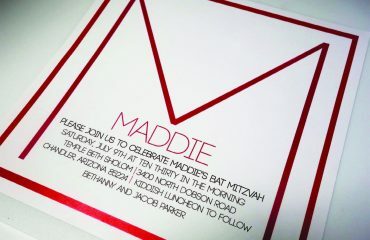 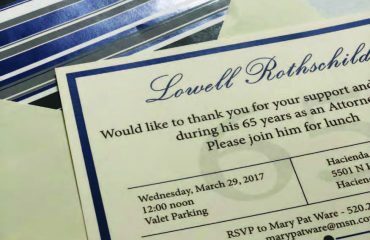 Bar Mitzvah Invitations are all custom designed through the four green dots website. All social stationery will be designed specifically for the needs of the client with unlimited choices in colors, fonts, and themes. 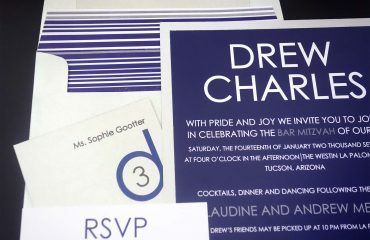 Handcrafted in Tucson, Arizona.